InfoMatrix, LLC was founded in 1993 to provide business consulting, IT consulting and software development to CEO's, CIO's, and investment companies. Our clients include companies in the telecom/broadband, medical, veterinary, retail, legal and public sectors..
InfoMatrix, LLC has four General Partners based in Northern California as well as a number of Associates. Our General Partners have worked together for over 20 years and have over 100 years of software development and IT experience combined. In addition to our software development activities with VetFM, we are investors in a number of early stage companies and assist as board members and strategic advisors to these companies. InfoMatrix, LLC. is a FileMaker Business Alliance Member and a FileMaker Solutions Bundler. Our business is certified by the State of California. VetFM reflects our enormous experience in business and software development, augmented by the experience of hundreds of veterinarians whose knowledge has been incorporated in the product. We are extremely grateful for all the time given to the product by veterinarians and practice managers all over the United States. VetFM has been in the field for over a decade. 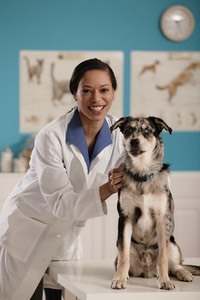 VetFM has a specialized and dedicated team focused on the veterinary industry. They have all spent considerable time in veterinary hospitals and in the field and are experts in both software development and veterinary practice management. VetFM encompasses many new features and easy-to-use technologies while retaining all the know-how of the contributing veterinarians. We seek and receive regular feedback and suggestions for new features. More information on InfoMatrix, LLC is available at our website.